Special Feature: Gavin Stoker talks to leading freelances, and finds that having a dedicated website as your on-line portfolio, continues to be vital despite the rise of social media. Here we reveal how to maximise the benefits, which can be big drivers of on-line traffic. 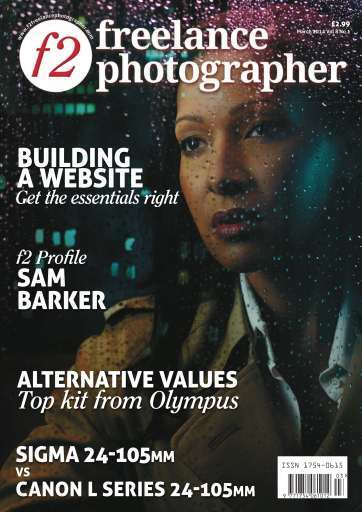 The f2 Profile: For editorial and commercial freelance Sam Barker it was an unfortunate accident that initially brought him to photography. Now shooting regularly in both New York and London, he speaks to David Land about the dramatic style of portraiture that has helped him stand out from the crowd. Turning Pro: Wedding freelance Tracy Morter tells f2 about the key to building her business, and the reason why – if you’re a music fan – her name might ring a bell. The Business section: London-based Tracey Fahy shoots commercial and social photography, with a specialism in dance. She tells f2 about how she got into wedding photography. Having spent years based in the Democratic Republic of Congo and elsewhere in Africa, shooting for the UN and NGOs, French-born Gwenn Dubourthoumieu has settled in Paris, where he is making a name for himself shooting photojournalism and corporate work, as he tells f2. Clerkenwell-based Cathy Robert has been making portfolios and archival boxes for photographers for over three decades. David Land catches up with her, to discuss what makes the service she provides unique. 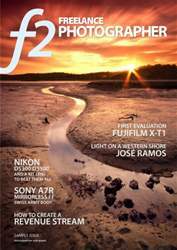 The Technical Section: Can a 24-105mm f/4 optic replace a range of primes or shorter zooms in your kit bag? Or are the compromises involved just too great? Adam Woolfitt pits Sigma’s new 24-105mm against Canon’s established L series contender to find out. 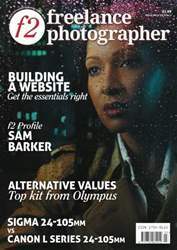 As developments in small format cameras continue apace, Kevin Carter takes a look at Olympus’ latest Micro Four Thirds models, the PEN E-P5 and the OM-D E-M1, asking whether their reduced weight and size win out over concerns about quality and limited ability to control depth of field.